At OmniData Services, all of our products are of the highest quality and come from well-known brands, so when the time comes to choose any of our products —like a Point Of Sale(POS) printer — all you have to do is focus on the features you need and pick the POS that suits your needs the most. Here are some aspects to consider when buying a POS printer. There are several types of POS printers hence it’s very important to know each one and their features. Direct Thermal printers: they’re fast, silent, and they don’t require an ink cartridge. Changing supplies is easy. Dot matrix printers: they have needle technology, which represents better quality. They print with a copy and use low-cost supplies. Kitchen printers: compact, trustworthy and very easy to use. Perfect for restaurants or hotels. Prints receipts and kitchen orders quickly. Validation printer: multi-functional, vary compact and of simple design. Fast for loading with paper and document insertion. Perfect for banks and POS. Print speed is a decisive factor when selecting a POS printer. This will make generating receipts or orders move to the pace you need. The space taken by your POS printer in your office or workplace must be considered at the time of acquiring it. Take into consideration the physical space you have to spare when you purchase the printer. This feature is essential, but it shouldn’t be the only one you take into account. Check the cost-profit ratio and, of course, consider the functions of the POS printer, the benefits it will provide your business and its economic availability. This aspect is very important if you have a high-traffic business. If you have any questions regarding the correct POS printer for your business, contact us via our Contact Form or give us a call at (281) 469-4365. We will be able to help you with expert advice. 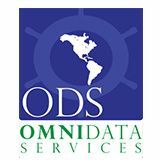 At OmniData Services all of our products are of the highest quality and come from well-known brands, so when the time comes to choose any of our products —like a Point Of Sale (POS) printer — all you have to do is focus on the features you need and pick the POS that suits your needs the most. Here are some aspects to consider when buying a POS printer. If you have any questions regarding the correct POS printer for your business, contact us at (281) 469-4365. We will be able to help you with expert advice.